Some asteroids eject dust, producing transient, comet-like comae and tails; these are the active asteroids. The causes of activity in this newly-identified population are many and varied. They include impact ejection and disruption, rotational instabilities, electrostatic repulsion, radiation pressure sweeping, dehydration stresses and thermal fracture, in addition to the sublimation of asteroidal ice. These processes were either unsuspected or thought to lie beyond the realm of observation before the discovery of asteroid activity. Scientific interest in the active asteroids lies in their promise to open new avenues into the direct study of asteroid destruction, the production of interplanetary debris, the abundance of asteroid ice and the origin of terrestrial planet volatiles. Sharper NASA images by the space probe are coming into view for the largest asteroid Ceres. The images reveal numerous anomalous bright spots, which could be possible arcing and jetting like is seen on various comets. Also, many craters on its limb are depicted as tetrahedral shapes. Do any forum members have any commentary about these recent findings? Why would Ceres develop a voltage potential between its surface and the solar wind environment to develop arcing? Ceres occupies a stable orbit where the solar wind density should be fairly constant. Perhaps nearby smaller asteroids and dust particles are becoming highly ionized due to a recent CME that may have been oriented in Ceres direction. New research suggests the "rock comet" is weirder than previously thought. He says they found it to be even more enigmatic than expected. -Sure, and they will find many more surprises. Too bad the new mission only gets there in 2025. 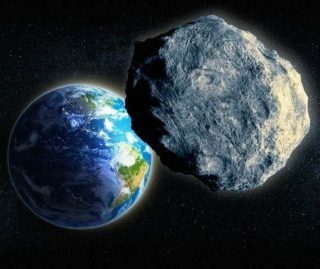 Anybody else has predictions or ideas about this asteroid. An asteroid that behaves like a comet! So it is an asteroid on a highly eccentric orbit. nick c wrote: An asteroid that behaves like a comet! So it is an asteroid on an highly eccentric orbit. Thx Nick that is a longer article. Yes ,it was a cometary asteroid when electrically active; when it is not, it is 'just' an asteroid.